Gabriel’s strategy was well-organized. Scheduled for Saturday, August 30, 1800, the revolt would begin with Gabriel seeking revenge on Thomas Henry’s family by killing them. 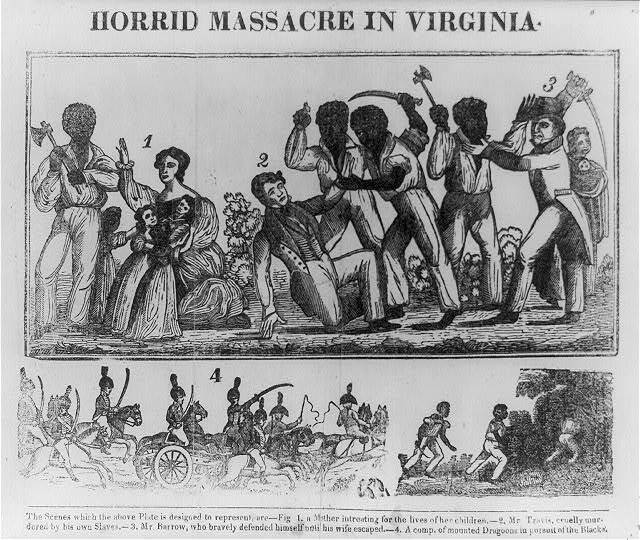 Next, Gabriel would meet the conspirators and head to Richmond for the massacre, making a point to spare groups who were friends of the cause such as African Americans, lower class whites, Quakers, and Methodists. Once in town, Gabriel planned to divide and conquer. One group would start a fire along the shore to create a diversion. Another group would overtake the treasury. The final group would capture the Richmond arsenal to collect more supplies. Once these tasks were completed, the insurgents would march around Richmond, forcing everyone either to agree to the slaves’ liberty or be jailed. Gabriel would carry a flag that read “Death or Liberty”, until the governor of Virginia agreed to their freedom. The night the conspirators returned home due to the storm, a slave named Pharaoh feared being caught. He confided in another slave, Tom, who was not involved with Gabriel’s rebellion. Together, the two men divulged Gabriel’s plans to their master, Mosby Sheppard. Sheppard sent a letter to Governor Monroe informing the governor of Gabriel’s insurrection. 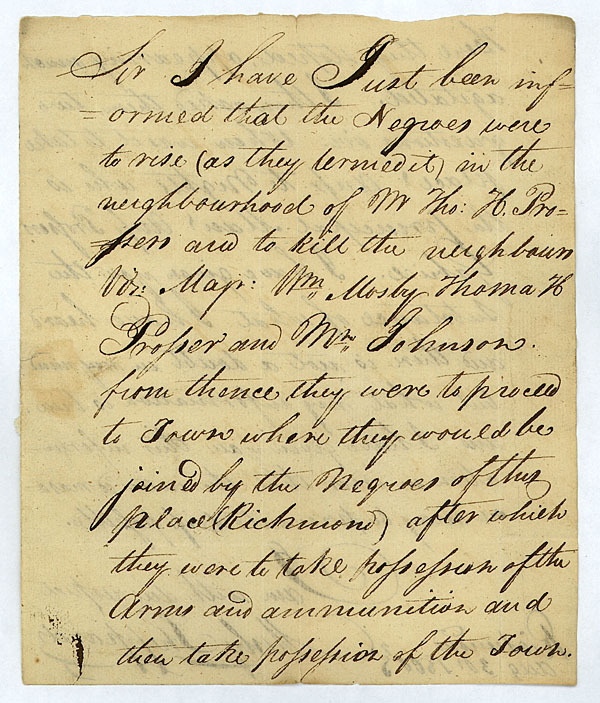 When the governor received this letter, he ordered the militia to protect the capitol in Richmond. When Gabriel discovered that the militia was pursuing him, he escaped toward Norfolk, Virginia. He claimed to be a freedman from Norfolk and was allowed on a schooner named “Mary.” A slave named Billy, who was also aboard the “Mary,” knew that there was a $300 reward for Gabriel’s capture. Hoping to buy his freedom, Billy told Sheriff John Moss about Gabriel’s whereabouts. However, since Billy was a slave, he was given less money than what was promised, so he did not have enough money to buy his liberty. On September 23, Gabriel was captured and sent to the Richmond penitentiary. In October, while on trial, Gabriel refused to testify. However, Gabriel was convicted due to what others said in their trials. He was hanged on October 10, 1800 with around twenty-six other insurrectionists.